It’s The Last Day Of Our Challenge! Happy Tuesday Everyone! 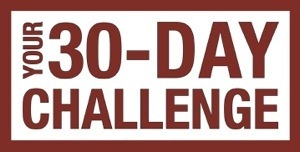 It is the last day of our 30 day challenge! So you know what that means tomorrow is our final weigh in day! I can’t wait to hear how you did in this challenge!!! Try to weigh in first thing in the morning so you can get the most accurate weight reading for the day. The next challenge will be starting on Monday, April 28th so begin to make preparations now to get ready for that challenge. There will be several options available for the next challenge and I will explain what those options are by the end of the week! Today I have a link I want you to check out regarding how to get free from sugar addiction. I know this is a tough habit to break but you CAN do it! Previous Post It’s Weigh In Day! Next Post It’s Our Final Weigh In Day!